Email reports can be sent after the session. 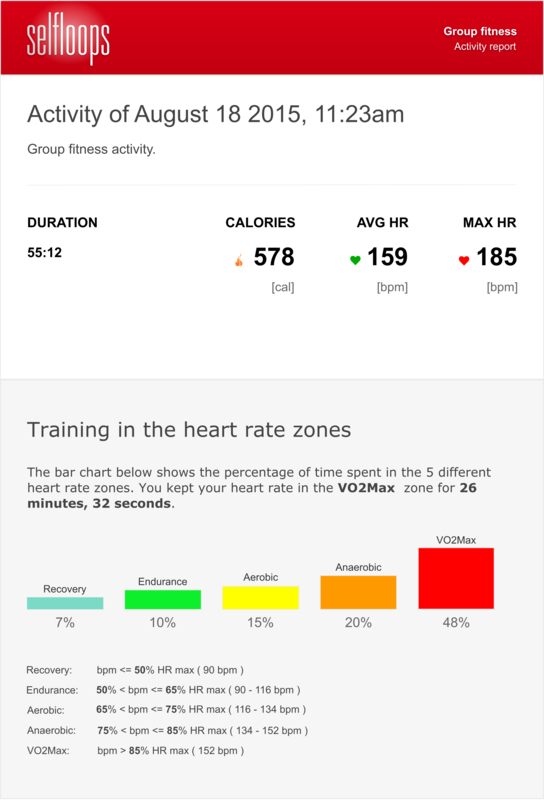 A personal email report summarizes the session and includes statistics and information such as the average heart rate, max heart rate, calories, TRIMP points and a bar chart with percentage of time spent in the 5 different heart rate zones. Email reports are sent automatically at the end of the session. However, you can also send after the session. Only a single press of the button is required to send the email reports to everyone in the session. See the Cloud Services guide. This is an example of email report.